On Saturday, September 1 at noon (EDT) “Engineering America” features the second largest drainage pumping station complex in the world, designed for low-lying New Orleans. 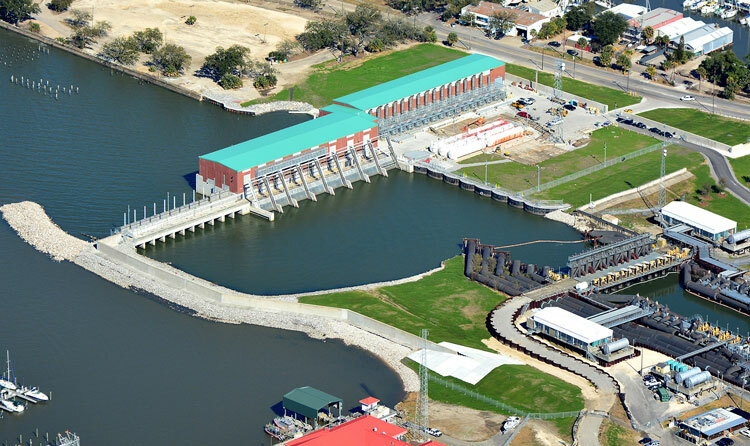 The $700 million Permanent Canal Closures and Pumps (PCCP) project encompasses three massive pumping stations and flood gate closure complexes located at the end of the city’s major outfall canals at Lake Pontchartrain. Each will operate continuously and independently during hurricanes and major rainfall events. PCCP is the final piece of a $14.6 billion hurricane and storm damage risk reduction system, launched after Hurricane Katrina in 2005. The new infrastructure will greatly support the Metro New Orleans area resiliency to tropical storms and hurricanes. A later episode, “Conquering the Arctic,” focuses on northern engineering feats and highlights the Stantec-designed Iqaluit Airport, the first successful P3 Airport in North America. The Iqaluit Airport is one of Canada’s northernmost flight hubs and was built to serve the remote community of Nunavut in its stark, dark, and frozen climate. More information and videos on Stantec’s Project Impossible features are available at https://www.stantec.com/en/about/creativity/project-impossible.